Its often not until something goes wrong that we realise just how important good support is to our business. At Big Bear Digital we have selected the very best, award-winning, hosting platform to ensure that your website is there when you need it; because no-one knows when your ideal client could be browsing your website (unless you’re sat next to them of course)! Our hosting partners Heart Internet have been consistently voted in the top of their industry by those that are really in the know! Hosting with Big Bear Digital therefore ensures that you have one single point of contact for all your online needs; but you can feel safe in the knowledge that the support power of Heart is sitting there right behind us! 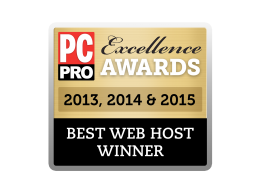 Named as the UK’s best web hosting company of 2013, 2014 and 2015 in the PC Pro Excellence Awards after scoring 94% and 93% overall in the UK’s largest independent IT customer satisfaction survey, voted by real customers and readers of PC Pro. 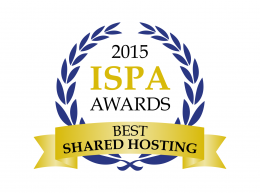 Acknowledged as the winner of the Best Shared Hosting category in the 2015 ISPA awards. These prestigious awards showcase the best of the internet industry, celebrating innovation and best practice and have been running for the last 20 years. Consistently voted a PC Pro Awards finalist since 2007, and our support, reliability, speed and value have been highly rated across the board. 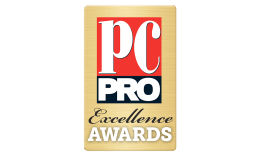 The PC Pro Excellence Awards are decided entirely on the ratings and votes of real customers.